According to the Mental Health Services Administration, about one in five adults had a mental health condition in the past year. That’s nearly 10 million adults with illnesses such as schizophrenia, bipolar disorder, or depression that interferes with a major life activity. Chapter 1 focuses on mental health issues in America and the role the Medicaid and Medicare programs play in addressing the needs of those with behavioral and mental health issues. Chapter 2 offers recommendations on how to address the mental health crisis. Chapter 3 presents prevalence estimates of any mental illness and serious mental illness based on surveys and ends with a brief discussion of how these prevalence estimates might inform policy discussions. People with mental illness comprise a significant proportion of the population involved with the criminal justice system. 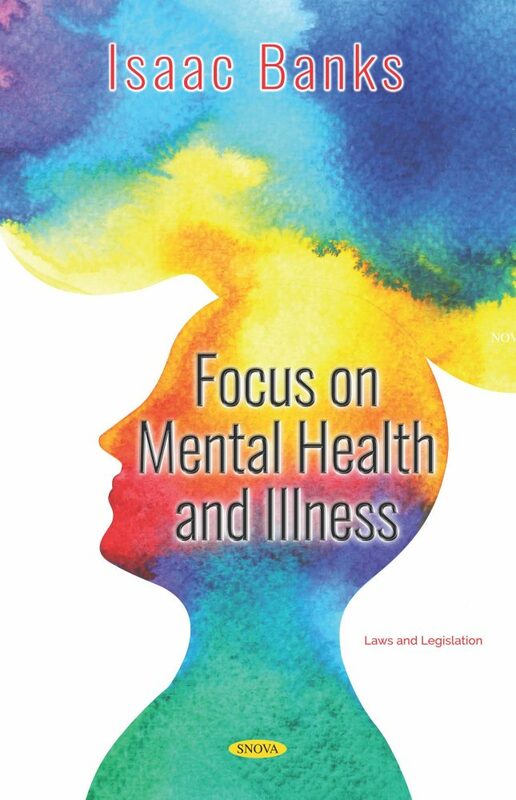 Mental health courts were developed to respond to the large number of people in the criminal justice systems with mental illness as described in Chapter 4. Law enforcement encounters with individuals with mental illness may require special training and skills and can sometimes involve volatile situations, risking tragic injuries or even death as reported in Chapter 5. The Federal Bureau of Prisons (BOP) is responsible for confining offenders in environments that are safe, humane, cost-efficient, and appropriately secure. To do so, the BOP utilizes various forms of Restrictive Housing Unit (RHU) to confine certain inmates, including those with mental illness. However, according to chapter 6, confinement in RHUs, even for relatively short periods of time, can adversely affect inmates’ mental health and can be particularly harmful for inmates with mental illness. Chapter 1. Mental Health in America: Where Are We Now?